I don't know if this really counts as a "haul" because it's just two things, but I had to show-off the new shoes and handbag that arrived this weekend. The shoes are the brand Zigi Soho, and I bought them from DSW. The purse is a Betsey Johnson "Hopeless Romantic" bucket bag that I bought from Zappos. 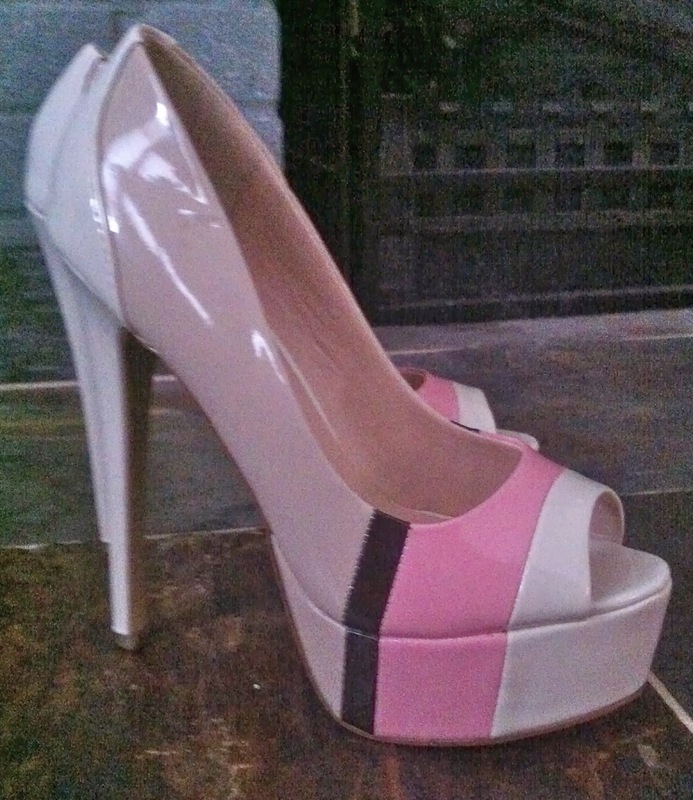 The colors of the shoes kind of remind me of neopolitan ice cream. And Charlie had to check them out. I am currently watching a Detroit Tigers spring training game on Fox Sports Detroit. The Tigers are whomping the St. Louis Cardinals 15-0. It's the 4th inning. Too bad it's only a spring training game. Both the shoes and the bag are EXTREMELY cute. Well, and I guess Charlie is cute too. Very cute. And I'm sure the shoes are comfy because of that big platform. Yeah, they don't feel nearly as tall as they look, so I can actually walk in them. Well, sort of. I need more practice really. I'm fond of the little dude. Thank you very much! I splurged as a reward for doing the taxes. Those shoes are too cute! Of course I couldn't wear heels that high without breaking something lol. The bag is awesome, too! I absolutely LOVE Betsey Johnson handbags! As soon as I saw the shoes I knew I had to have them. :P Thanks for the nomination!